Say hello to Canva. It’s web-based (including apps available for iPads and Chromebooks) with a drag-and-drop functionality that makes the design process simple and intuitive. You can create professional presentations, posters, multi-page documents, marketing materials, social media graphics, and more using Canva’s more than 1 million photos, icons, and layouts, each with colors and fonts coordinated into attractive schema easily accessed by both beginners and reluctant designers. There’s no cost when using the thousands of free illustrations and images in the Canva library or uploading your own. For a small fee (usually $1.00), more than one million professional stock images and graphics can be used on a pay-per-use basis. Sign in with your Google account or create a separate FREE Canva account. Select one of the over fifty-six categories such as presentations, posters, greeting cards, infographics, and cover pages. Select a category template that fits the project. Replace text and images.Optionally change colors, size, layering, and more. If you have never designed graphically before, start with the free Design School with how-to instructions on many projects and skillsets. Cover pages for ebooks, novelettes, stories, or anything that doesn’t require a professional’s touch will benefit from Canva’s professionalism. Pick a Canva template and then edit text and image. This is easily done in five minutes once you know what you’re doing. Fliers can be used to announce book signings, blog hops, or any other event related to the marketing of your writing. Canva provides a wide variety of templates with lots of fonts, colors, and image placement choices. Resumes are a critical but oft-complicated requirement for job hunting. Canva makes it easy. All you do is pick a layout, enter data, and you’re done. 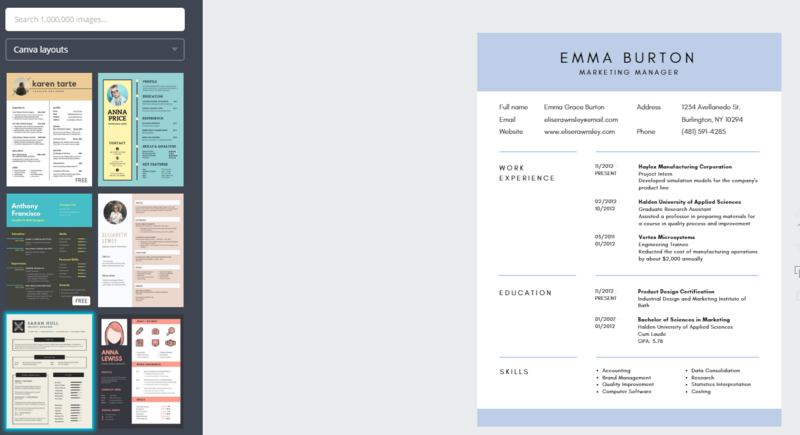 Canva does the formatting, font selection, and attractive layout. Overall, Canva is a fully-featured desktop publishing tool that is scalable to most workflows and rigorous enough for most projects. It levels the playing field for all Indie writers as we struggle to market our books after we’ve written them. I love Canva! I’ve been using it for a while because it’s a dream come true. For the blog and for posting my poems on Instagram as well! Me too. They make me look good! I just replaced my YouTube channel header with Canva. Took all of 5 minutes! I have used Canva for blog graphics for years, but I never considered it for these other uses. I once tried to use it for a Media Kit but had trouble. Thanks for the ideas. I liked your SlideShare presentation. It used to be just posters, but they’ve seriously expanded their options. I usually find the templates more easily by searching “Canva” and the type of template. That’s how I did it. I recently used Canva to add covers to my Youtube videos. What a difference! Next time you need a quick flier or cover, this tool will take care of you. This is a fantastic resource. I’m going to check it out. You will love it, Damyanti. I see more and more people using it to introduce blog posts. Not me yet, but it’s appealing. Great post, Jacqui – I was referred to your site by Terri from Second Wind Leisure. I wholeheartedly agree with you about Canva being simple and easy to use for so many graphic design purposes. I am the Social Media Director for one of our local organizations and use it all the time for blogs, Facebook, websites, flyers, posters, etc. For me, Canva offers a professional look at no cost, and with great ease. What could be better? Thanks for sharing this. That’s good to hear. I think it’s a boon for businesses, volunteer work–all sorts of places other than writers. Thanks for sharing. That’s where I started too and then I realized all my wonderful how-to YouTube videos needed a snazzier cover. Then it was my FB page. It just kept growing! Fantastic and helpful post, Jacqui. I am so grateful to have this information because I got quoted a ridiculous amount for covers so am doing them myself. This sounds like it may really help. That’s how I started. My fiction books I get done by a professional, but many others I create myself. And I love them! COOL! I’m forwarding this post to my self-publishing friends who aren’t self-publishing cuz they have no money to hire anyone for the cover. You will be their hero for at least a day. Thanks, Judy! I usually just find a graphic designer and pay her to do it! I’m not very artistically inclined, though, and anything I did would look awful. I used to say that about myself, too. Because I’ve published over a hundred items, the cost of all those covers would have been horrid so I forced myself to follow Canva’s templates and try to create the less-important ones myself. Believe me, that was my real motivation! Glad to see there’s a good alternative to Publisher that’s easy to use and produces quality graphics. Good tips and examples! As someone who has been in the graphics field for over twenty years: Publisher needs to burn and never be spoken of again. I’d be thrilled to never again have to work with a .pub file some well-meaning person created. Second on my list would be graphics made in Word. Just say no. I love that. Publisher used to be the all-in-one desktop publisher, but it became something else. There are so many good options online now that are affordable and professional. But, everyone I know recognizes the difference between this sort of approach and what a real designer brings to the party. Definitely a cut above. Great tips for using Canva to create great stunning graphics reblogged from Worddreams. Thanks for the reblog, Marje! 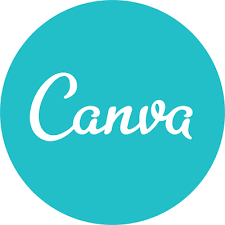 Excellent post about using Canva. I’m a big fan! Reblogging. I have used it so long I no longer see the proverbial holes in the wall. I’m glad you like it! Thanks for the reblog, Lynette! This is great to read, Jacqui! I am so used to PicMonkey for my photos, that I forget Canva has other applications! Thanks for reminding me! I’m the same way with PicMonkey. When I use it, I love it–and then forget about it in between. Thanks for the reminder. I’m rwblogging this post tomorrow and will try to create a canva Image to boot! I probably got miffed when I first used it and now just love it. For some reason I settled on it. Now that I personalize my FB and YT covers, I have found all new reasons to love Canva! As I hope to. 🙂 Thanks! Canva has a variety of different ways to create publications. I find it very useful. Good to hear. Sometimes I think I am just used to it! That’s how I felt about Canva. Once I got used to it, I was hooked. And they keep coming out with new templates. Love it. Great post, Jacqui. I’ve used Canva a couple of times for social media banners. Another one I like is Pic monkey for ease of use, for adding text and overlays to images. I know a lot of PicMonkey fans. I think it gets to what I am used to. When I go to PicMonkey, I fumble around until I figure it out! Following the templates makes great marketing items fairly easy. It’s when I stray, try to be creative, I get into trouble. Thank you so much for this, Jacqui. I was formerly unaware and thinking of giving it a tentative go. It’s worth the effort. Visual reaches so many more people than just text. I’m not sure I buy the “everyone is visual” meme (I’m not, actually, I’m cognitive), but I do know that visuals anchor words in people’s minds – placeholders, if you will. Plus, only graphics Pin – lol. I agree. So maybe more accurate is “Lots of people benefit from visual”. PERFECT! Plus they make great pins. I appreciate knowing how people are making the ones I see. Thanks again. My pleasure. It won’t take any longer to create a masterpiece than drink a cuppa tea! Interesting. Uploading photos–I do that through the Uploads button (on the left). That’s where my personal collection of photos lives as well as new ones. Then I just drag and drop. Undo–Ctrl+Z is my default. Does that work? You got me on iPhone. I definitely don’t design on that device. Although Canva is supposed to work fine on iPads (though I haven’t tried it). Ah. I think everyone is a little different with webtools. You might actually like PicMonkey better. I’ve used Canva for cover images for free short stories I’ve published as ebooks. I must admit, the cover images for my novels that were designed by a pro are more impressive, but also way more expensive. For free stories, I figured it wasn’t worth it to pay for really good covers. I like that Canva allows you to work with layers and transparency. Strikes me it’s a good tool for putting together ideas and sketches for print or ebook covers you could then pass on to a professional designer — easier to get your ideas across than just describing them, maybe. Yes, me too. The pro who does my novel covers can blend images and filter that I can’t do as effectively (or at all) on Canva. I’m with you–they’re great for free/cheap books but not others. You won’t be disappointed. They are robust for a free program. Despite my lack of talent, I am much more likely to end up with a good marketing piece than not. That’s why it’s now my default choice. Jacqui, I’m not surprised you know about something like Canva but I’m impressed you are so eager to share. You just helped a lot of people today, including me, and I’m very grateful. I probably heard about it from someone else. Just passing things along! I can see it would be perfect for that. Helpful to those who want it. I balk at anything that make the format for me. I like to try my hand at it. Anything already done for the writer saves time however. So I have used both methods since I like to experiment creatively. Thanks for an informative post. You are one of the creative souls that I am constantly jealous of. Anything that can turn creativity into rote–well–is a winner with me! That’s what I was in my younger dreams. I love hearing that you do it. Good for you. It is great to dream and then make your dreams a reality. I love creating and for awhile, our house was filled with paper I had made and then the projects from this paper. Isn’t the creative journey the best? Next up will be to put a poem to music. For now I am content with studying voice. Who knows where it will take me? Lifelong learning is the name of the game. I remember when I was forced to be creative, making awards for my daughter’s 1st grade class. I was so stressed! I’d love to see your home. Put a poem to music–of course. That just makes sense! I suppose you could also call my home “creative” because when I do projects, I spread out everywhere much to the consternation of my family. Today my grown children just say “you go, Mom.” That’s an idea to consider for a song. I’ll mull over it. Thanks. I love Canva and use it all the time. I have so many designs on it, I’m thinking of upgrading to pro just so I can have file folders. This is fantastic information. Thank you! I didn’t know about this site, and goodness knows I could use it! Great article over on your blog. A lot of good detail on Amazon sellers. Canva is very versatile. The other free option is Adobe Spark. You can do lots of marketing stuff with that one, too. Thanks, Jacqui. I’ll keep that one in mind as well. I hadn’t realised how much Adobe does until my son mentioned a music band program they run too…very expensive however! I use a method not available to everyone – my wife is a graphic artist, so I normally just beg her to do this kind of thing for me. Now I know why you make all those amazing carpentry projects for her. You are a lucky man, Andrew. Great post. I use canva but not very good at it despite its ease. I always use the templates. My creativity doesn’t extend beyond writing! Love the layout of how it works 🙂 I’ll definitely try it out. Thanks, Jacqui. It’s so easy, too. I can usually put together something acceptable in about five minutes. Very useful Jacqui. Have been thinking of experimenting with cartoons but am a really bad illustrator. I will try this out. There are some fun cartoon creators, like Storyboard That! It’s free and provides lots of cartoon props. I think I’ve forgotten the original struggle–getting to know the platform. Like you, I have so many projects created, I build off of them and get done really quickly. I agree–something really important still goes to the experts. This post is definitely a keeper, Jacqui. Thanks so much! I’ve self-pubbed over a hundred books/collections/stuff. If I paid for all those covers, they’d never pencil out. Many of them, I create myself, digital only, on Canva.